Komona, a 14 year old girl, tells her unborn child the story of how she became a rebel. 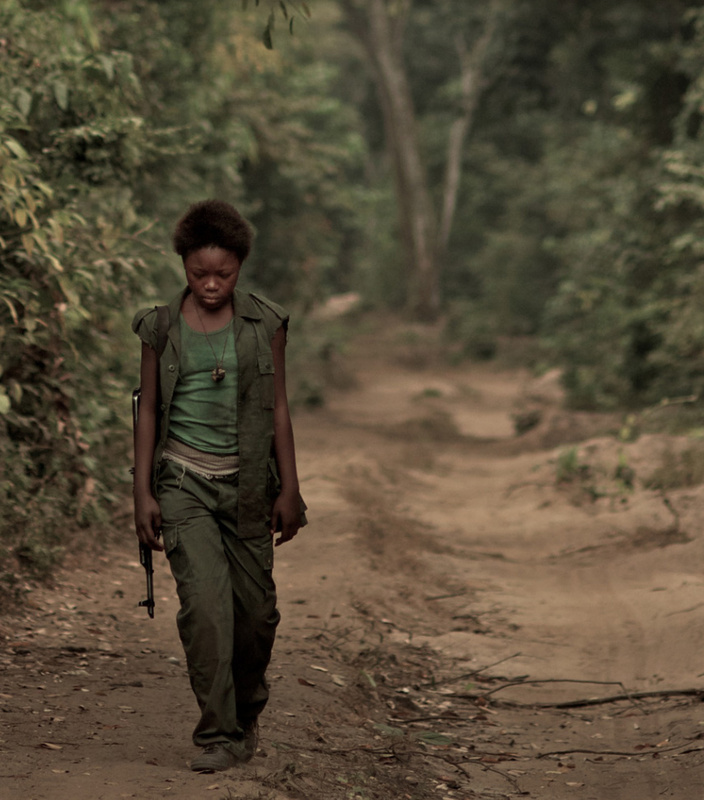 It all began when she was 12; kidnapped by the rebel army, she was forced to carry a AK 47 and kill. Her only escape and friend is magician, a 15 year old boy who wants to marry her. Despite the horrors and daily grind of war, Komona and Magician fall in love. They thought they had escaped the war, but fate decided otherwise. In order to survive, Komona will need to return to where she came from and make amends with her past. A tale set in Sub-Saharan Africa, WAR WITCH is a love story between two young souls caught in a violent world yet filled with beauty and magic. Somewhere in sub-Saharan Africa, in a small isolated village, Komona, a twelveyear-old girl, lived peacefully with her parents until the day the rebels came. They pillaged the village, captured Komona and forced her to commit an irreparable act: slay her parents. In the rebels’ camp, the training is merciless: Komona is hungry, scared, and the Rebel Leader, who has no pity for her tears, repeatedly beats her if she cries. She quickly learns to endure, to fight and above all, to survive. During a battle waged against the government’s army, only Komona is spared. The rebels chief sees this as a sign and declares she is the new sorceress. She is soon brought to Great Tiger, the supreme leader of all the rebels, who makes her his war witch. Only one person is willing to help and listen to her, a 15 year-old-boy named Magician. With the passing months, Magician and Komona fall in love. They experience an all too brief moment of what happiness can be. The war catches up with them. Time passes… Komona is now 14 and pregnant. She wishes to forget the past, but her parents’ ghosts keep reappearing. She soon realizes that if she doesn’t want her parents’ ghosts to haunt her baby, she must undertake the long journey that will lead her back to her birthplace. WAR WITCH is a life lesson, a story of human resilience. It has been now 10 years since I started writing this film, just about the same time that I started writing my first feature film. It was on a peaceful morning when, as is my habit, I was skimming through news headlines, getting ready to write. And then, almost accidentally, I saw on my screen, in the list of search engine results, the name “Johnny and Luther Htoo,” ten-year-old or so twins who had become sacred figures for rebel groups, whom they guided spiritually and strategically. They were chain smokers, and legends said they had 250,000 invisible soldiers at their command. 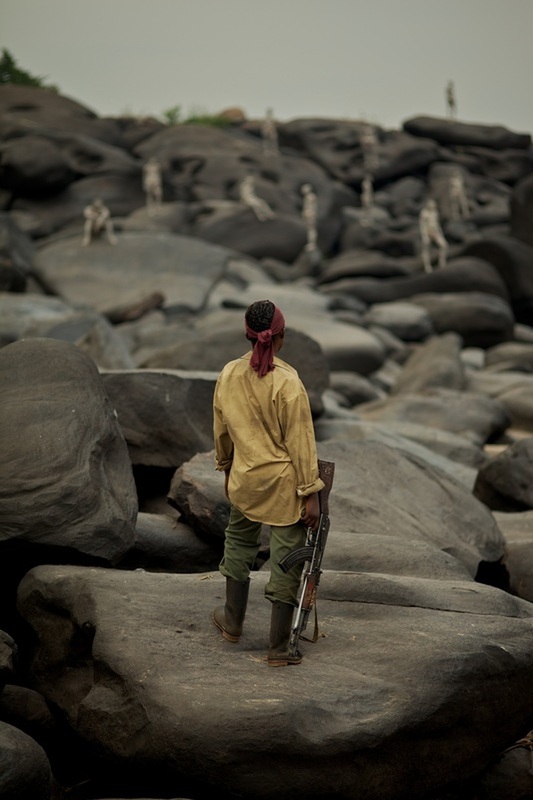 That was how I started my research on child soldiers and their imaginary world. 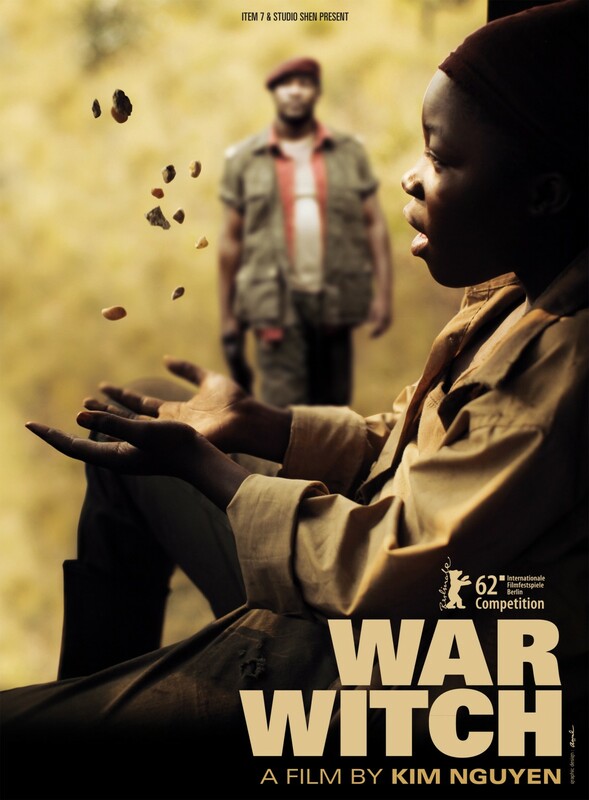 After several years, a screenplay was born; one that would attempt to pay homage to the real African heroes – men, women and children whose human resilience will always be able to overcome the tragedies of war. And in order to do so, the film had to be shot in one of the most paradoxical places on earth: Kinshasa, in the Democratic Republic of the Congo.